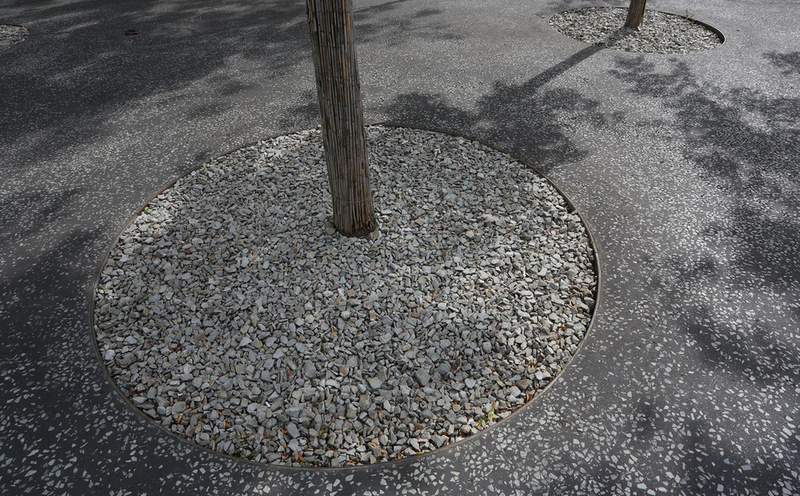 To enhance the barren concrete surface in front of the concert hall two densely planted forecourts were created. The dense tree planting offers a pleasant atmosphere with an attractive seasonal change in the urban environment of Esch-Belval. The attractive surface is unexpected in this context and delights the visitor especially in wet weather, typical for Luxembourg.